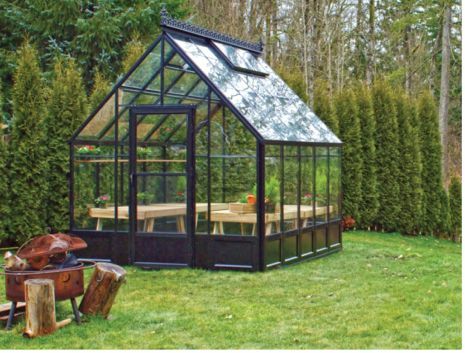 Our 8×10 black aluminum frame greenhouse with decorative ridge cresting and steep roof creates a beautiful English greenhouse look. The decorative base panels provide a fully finished look that eliminates the need and cost of a concrete foundation. This entry was posted in Greenhouse Information on June 3, 2013 by admin.